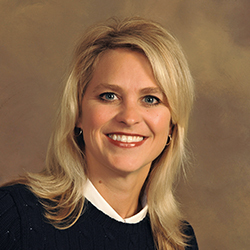 Laura received her Bachelor of Arts from degree from Concordia College in Moorhead and completed the Physician Assistant Program at Augsburg College in Minneapolis in 1998, where she became a Board Certified Physician Assistant. Prior to working at CRMC, she worked six years in Family Medicine at North Clinic in Robbinsdale. Laura is a member of the American Academy of Physicians Assistants and the Minnesota Academy of Physician Assistants. Special interests include Women and Adolescent Health, Pediatrics, Health Promotion and Disease Prevention.